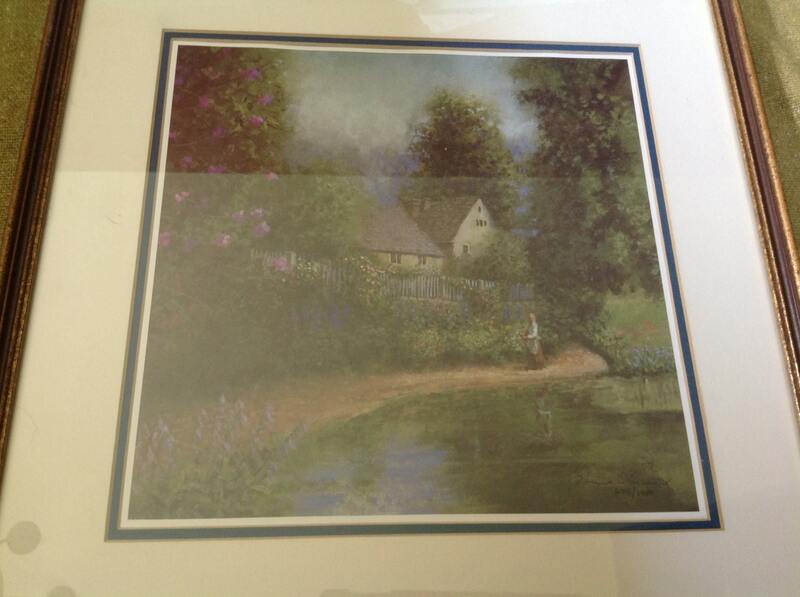 Offered is a pair of limited edition prints hand signed by the artist. 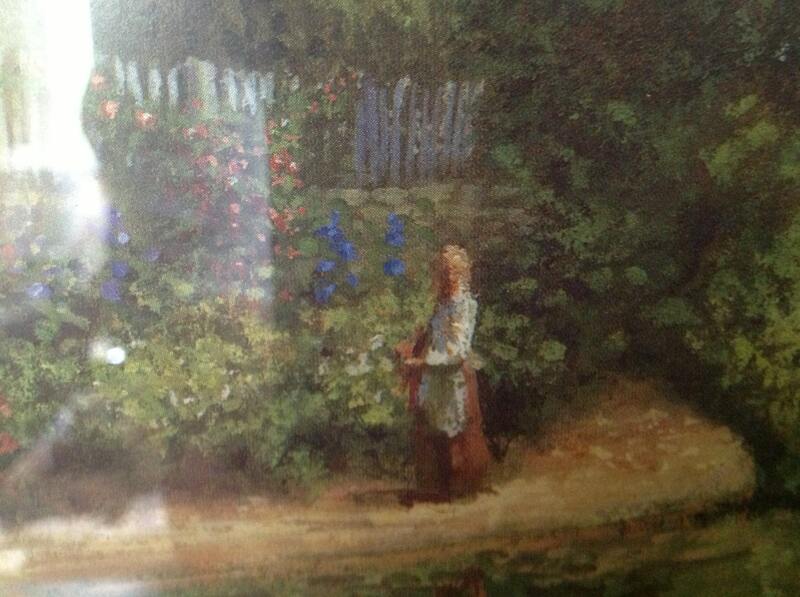 They feature dreamy country cottage scenes. 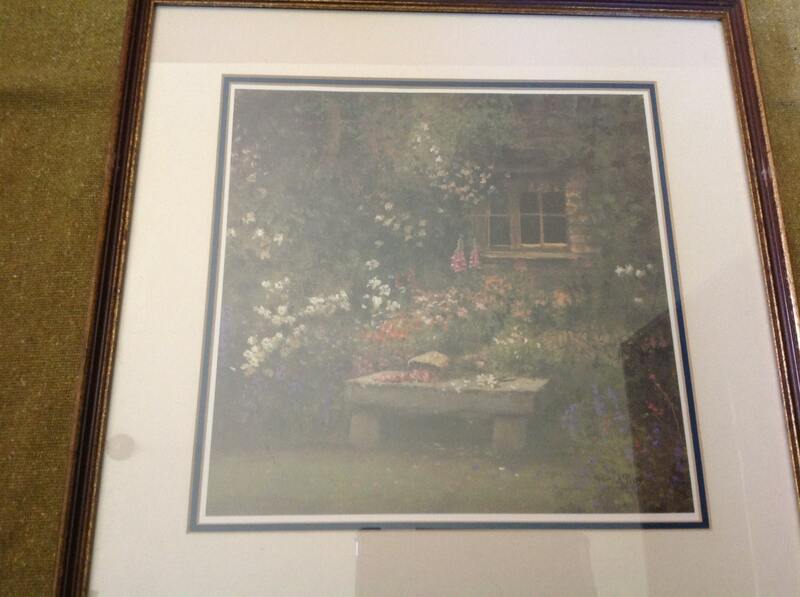 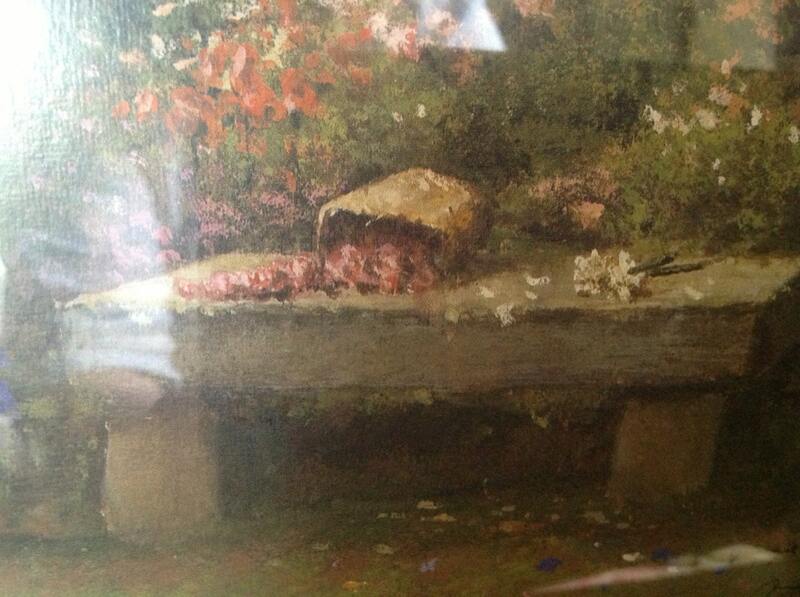 Small loose brush strokes are used to create a pond, flowers, trees, figures and a stone country bench where a young woman suddenly left behind a brown paper bag of blooms. 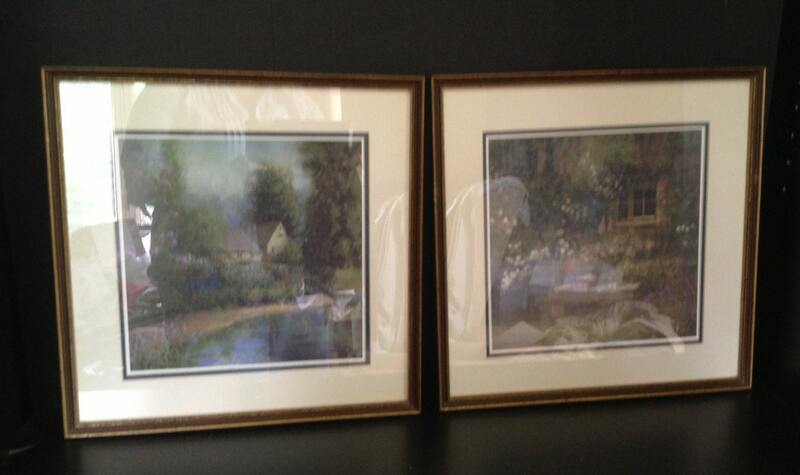 These prints are framed in narrow brown and gold wood and matted in blue-trimmed ivory mats.